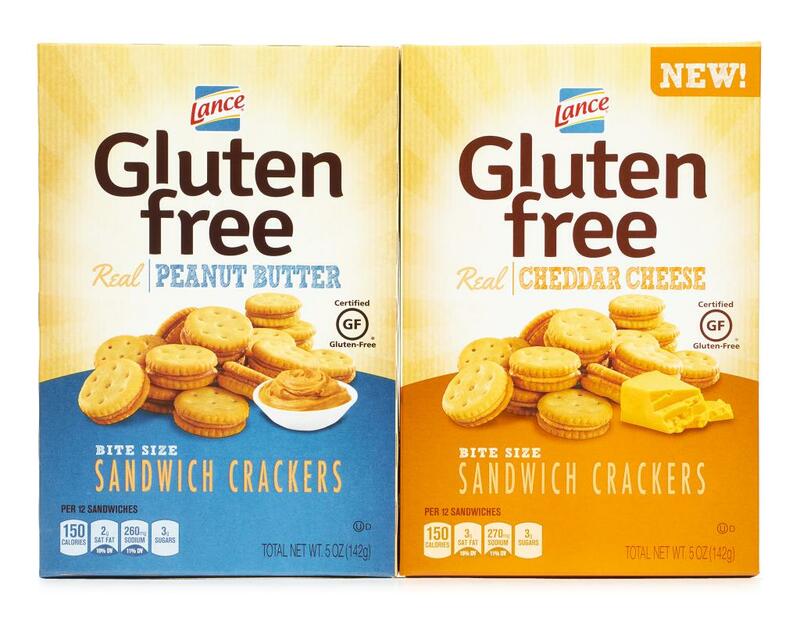 Eating Gluten Free doesn’t mean compromising on taste and Lance's new sandwich crackers will prove it. 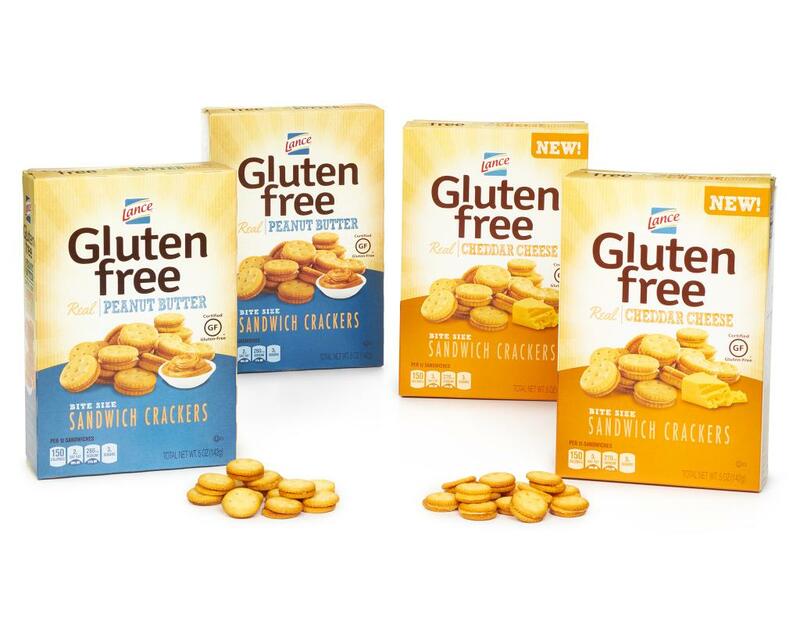 All the real Peanut Butter and Cheddar Cheese flavors you’ve come to expect, now in the perfect bite size Gluten Free form. 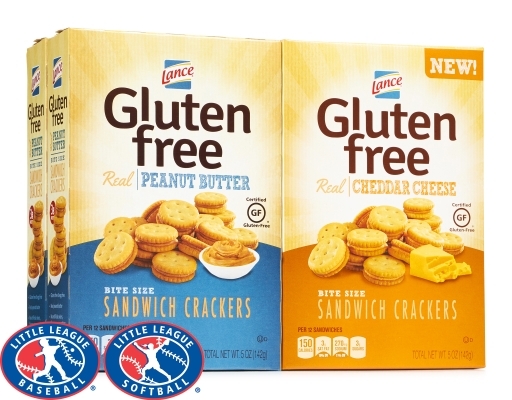 You can always count on Lance to provide great-tasting, high quality snacks for you and your family. 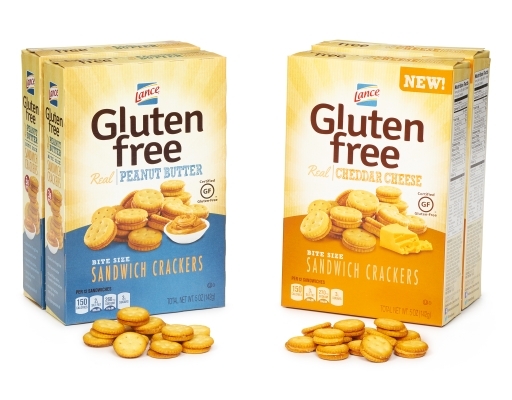 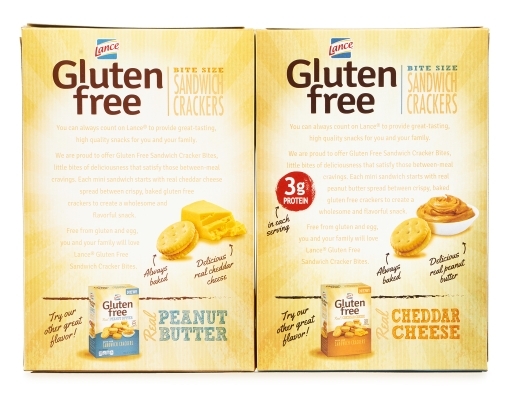 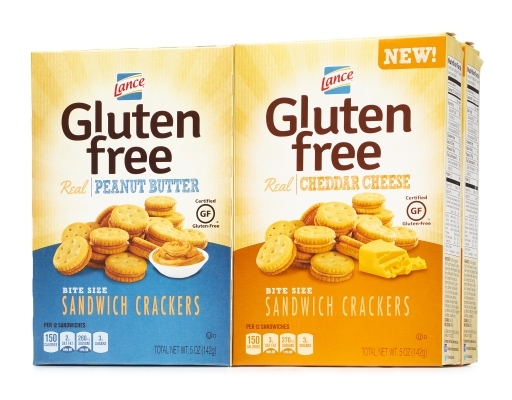 Lance is proud to offer Gluten Free Sandwich Cracker Bites, little bites of deliciousness that satisfy those between-meal cravings. Each mini sandwich starts with real peanut butter spread or real cheddar cheese spread between crispy, baked gluten free crackers to create a wholesome and flavorful snack. 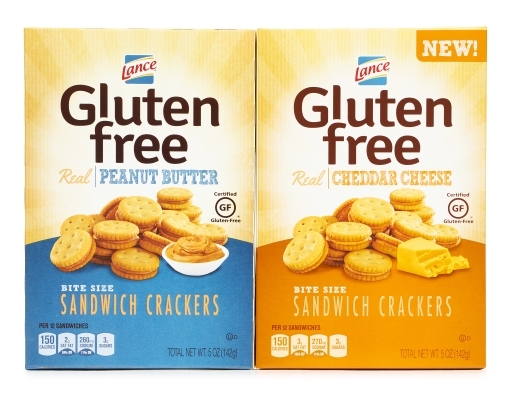 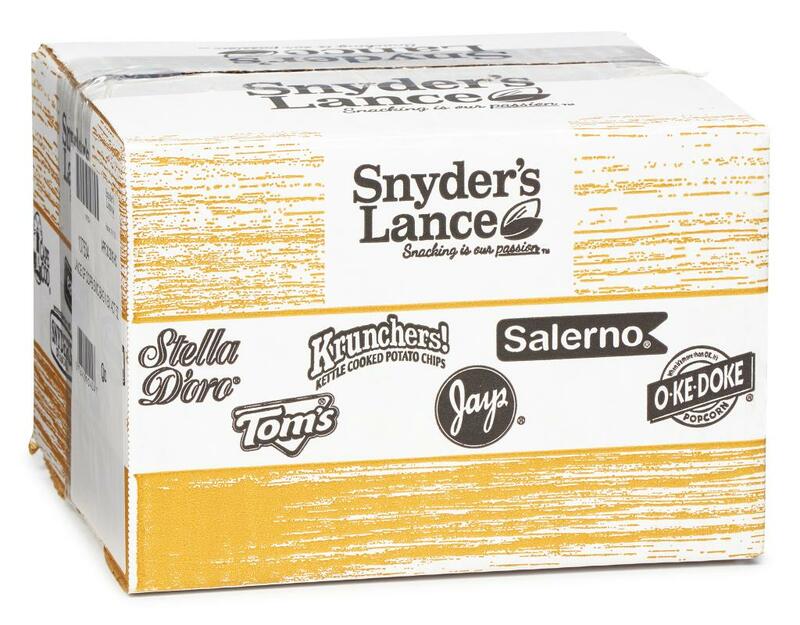 Free from gluten and egg, you and your family will love Lance Gluten Free Sandwich Cracker Bites. © 2018 Little League Baseball, Incorporated. All Rights Reserved. 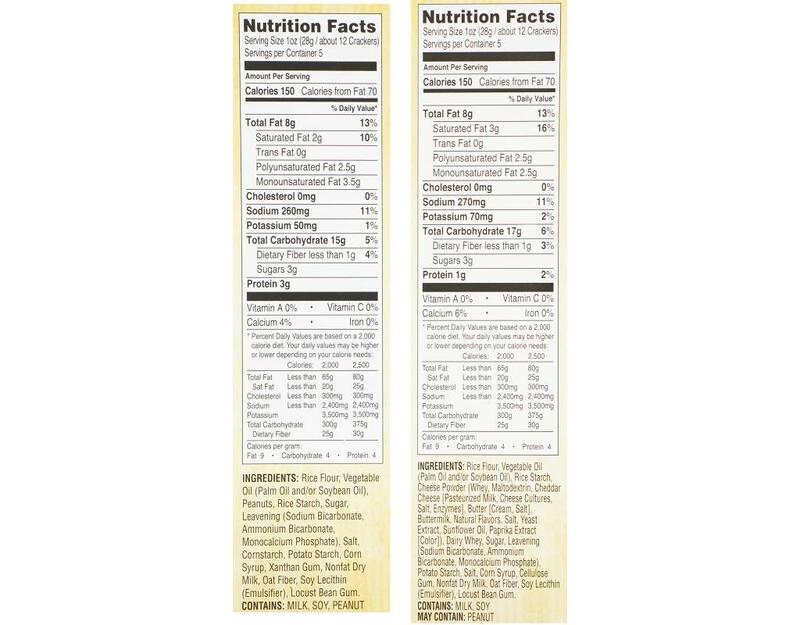 Real Peanut Butter: Rice Flour, Vegetable Oil (Palm Oil And/Or Soybean Oil), Peanuts, Rice Starch, Sugar, Leavening (Sodium Bicarbonate, Ammonium Bicarbonate, Monocalcium Phosphate), Salt, Cornstarch, Potato Starch, Corn Syrup, Xanthan Gum, Nonfat Dry Milk, Oat Fiber, Soy Lecithin (Emulsifier), Locust Bean Gum. 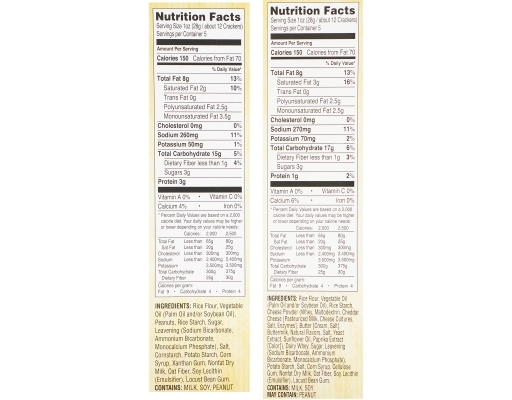 Real Cheddar Cheese: Rice Flour, Vegetable Oil (Palm Oil And/Or Soybean Oil), Rice Starch, Cheese Powder (Whey, Maltodextrin, Cheddar Cheese [Pasteurized Milk, Cheese Cultures, Salt, Enzymes], Butter [Cream, Salt], Buttermilk, Natural Flavors, Salt, Yeast Extract, Sunflower Oil, Paprika Extract [Color]), Dairy Whey, Sugar, Leavening (Sodium Bicarbonate, Ammonium Bicarbonate, Monocalcium Phosphate), Potato Starch, Salt, Corn Syrup, Cellulose Gum, Nonfat Dry Milk, Oat Fiber, Soy Lecithin (Emulsifier), Locust Bean Gum.